I don’t have a “farm page,” but I love keeping up with everything going on at Rose Shadow Ranch. 🙂 And I will certainly share your page! Thank you! You’re comment is really all that is necessary to qualify you. The tag game just makes the GIVEAWAY more fun and helps spread the word on some really great and helpful pages. Tagging is quite simple, all you do is put the “@” symbol before you start to type the person/page you’re tagging (no space between the symbol and the words, the symbol will not be visible if done correctly) good luck and thanks for your support! this is fun,ill go tag you and 2 others from your site. 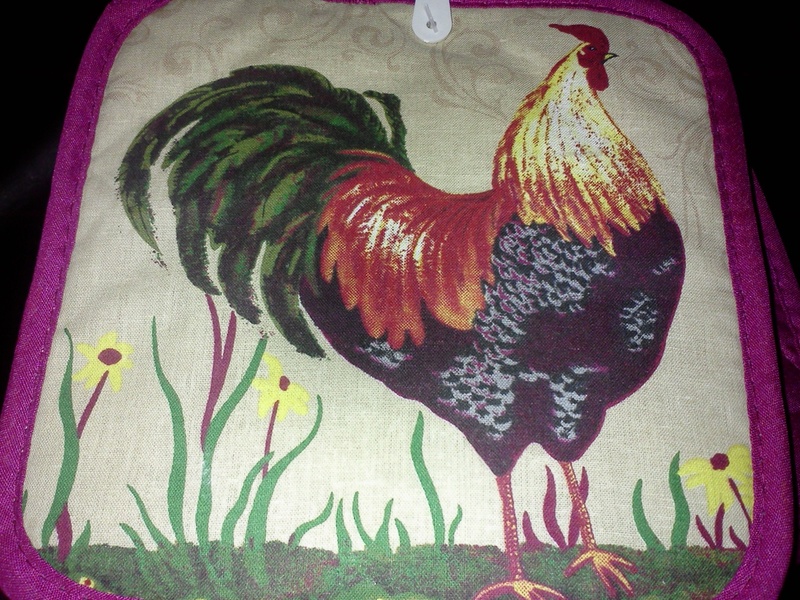 CONGRATULATIONS Renee, you have been selected as our WINNER for the cute chicken potholders! Please email me at roseshadowranch@yahoo.com with your full name, mailing address and email address, so we can get that out in the mail to you.